Samsung´s star measures almost the same size, weight, functionality and general specifications like the LG Cookie KP500, but looks more shiny and polished. It is on the compact size and carrying it around in your pocket feels as if it´s not actually there. The phone sports 3-inch display with 240x400 pixel resolution and 262k colors that manages to deliver proper image quality in artificial lighting conditions, just as most other screens featuring similar specs do. Situation gets much worse in direct sunlight though with the phone turning into immaculate mirror, just like the Cookie. Come to sensitivity, the resistive display of the Samsung S5230 seems to be a step behind what it arch rival delivers, yet as a whole it doesn´t fare bad at all. You can compare the Samsung Star S5230 with many other phones using our Size Visualization Tool. The three buttons below are not really large, but they have enough travel and pressing them is easily discernible. Volume rocker, power and camera shutter are onto its sides and our only gripe is pressing the first two requires more efforts alongside of the other keys. We would have liked it better if side buttons were located slightly below where they actually are, because pressing them during calls feels somewhat uncomfortable. 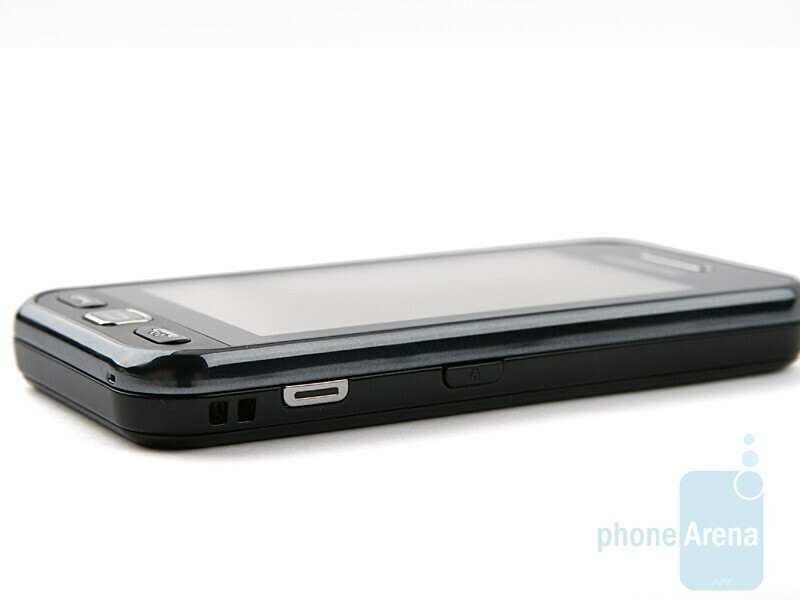 Unfortunately, the phone sports the standard manufacturer´s port used for both charging or connecting it to a computer and not a mainstream microUSB port. 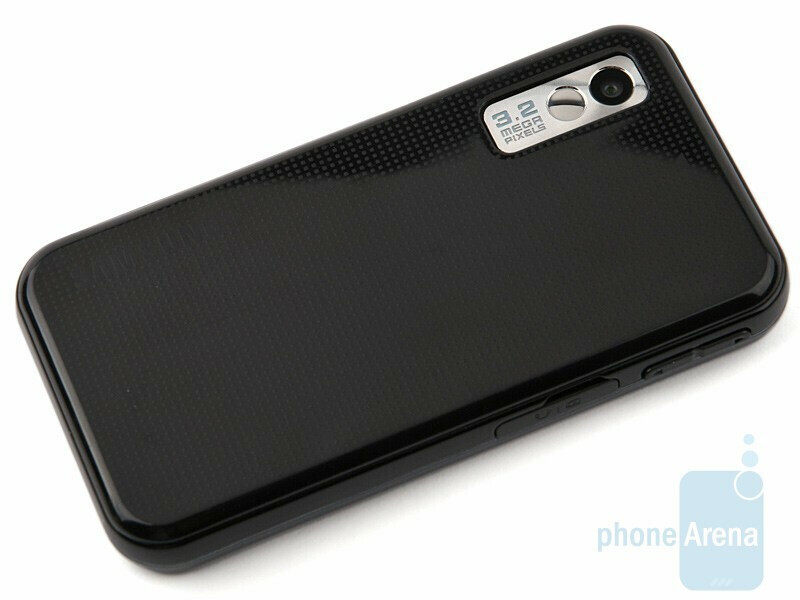 The whole back side is actually a single plastic panel with rugged stencil pattern that helps to prevent the phone from sliding out of your hand. We are disappointed that you need to remove the battery to get to the microSDHC card slot. Anybody know if they have changed (corrected) message notifications with this later version of TouchWiz? I have a Behold--love the phone but absolutely hate the fact that if I have it set for periodic notification of messages, I have to view (actually open) every message before it will stop beeping. All the older, non-TouchWiz Samsung phones I've had would continue to beep/remind me until I hit any button to acknowledge a message (or messages); they would then stop reminding me until a new message was received. I'm very intersted in the S5600 (Preston), but will be very reluctant to get it (or any TouchWiz phone) if this (which I see as a huge problem) has not been addressed. Hi Can we play songs on the Bluetooth headset using star?.. I need the answer as i didn't find anywhere abt this..Pls some one help me i am planning to buy this..
samsung star is really Bad in-call quality, Battery performance is below par, MicroSDHC card slot is underneath the battery ? pls smeone reply me. Is there a chance to enhance the battery life, with an software (or firmware) update. i'm verey very disapointed about this. After 24 hours the battery is empty. If someone have a solution for this please write me at valimunt@hotmail.com. But the phone at this price is vrey nice. I think it's actually a stylish phone. I have one of these, for almost a year mow. The battery lasts me for over 1 week... Most times for 10 days or so... In my oppinion, the worst on this phone is it's display, which is not very good under huge light (like sunny days). i like the pone but i cant figure out to download multi media msg's. when i get one and try to download a pic. it says network not availible when it tryes to retrieve the pic. i called att they said there is a setting that needs to be changed but didnt know witch one. anyone know? is there any method to get the latest firmware for the samsung star GT-S5233A and update the phone with it? any site / link with the complete procedure and the firmware + packs / method ll b really useful. 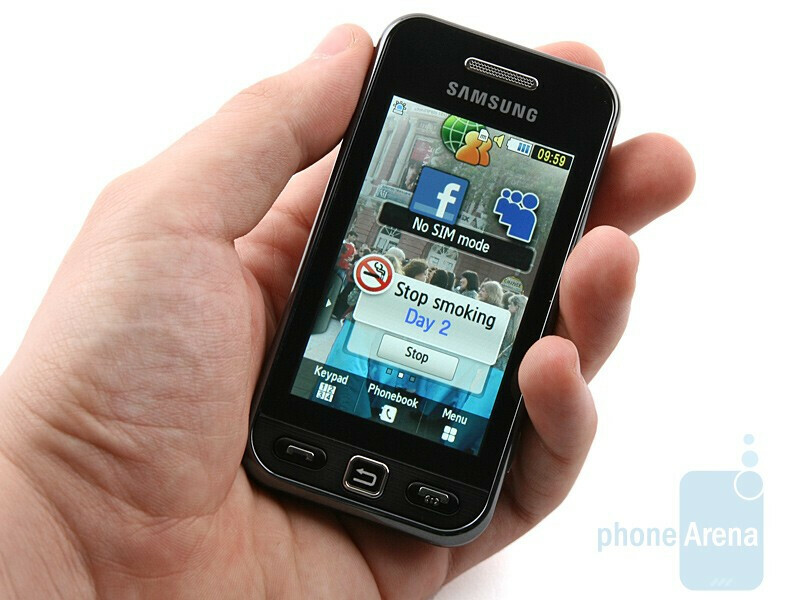 Overstock.com is selling this phone (samsung GT-S5230) aka the Star at a good price and its unlocked, but the phone (according to Samsung ) is made for Europe and cannot be registered here, comes with a phone adapter for charging to the UK and has no English printed manuals. 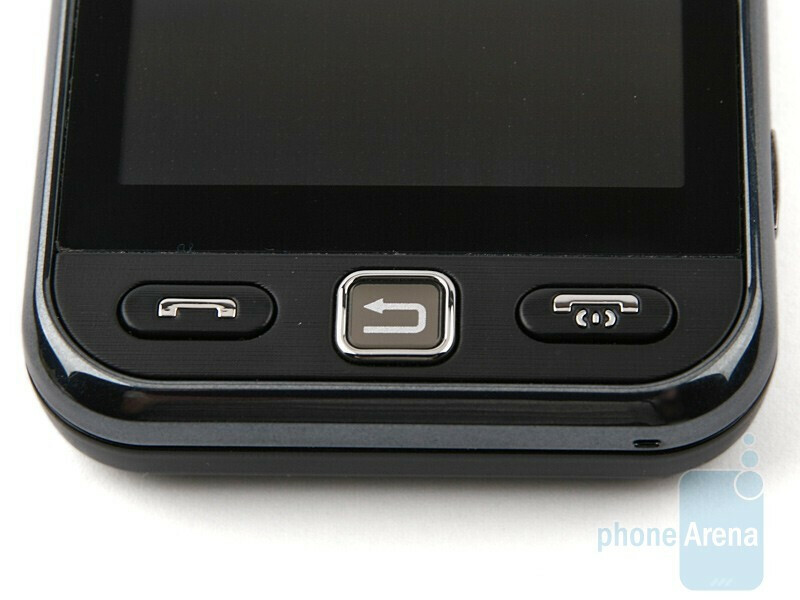 The phone also has some issues the main one is when you are on an automated call, there is no keypad to EZ access, so you have to press an unlock key on the side of the phone to then get more icons to navigate. The phone will hang up with your caller if you need to be hands free and by placing the phone on your ear, and chin will cut off the caller. The other troublesome issue is that it is not EZ to navigate or setup because there is no manual, and the CD (only thing in English) is not very well set up to answer your introduction to how to use the phone. This is the best phone I have ever had. It is extremely light and the touchscreen is responsive. It has everything that I would expect from the everyday phone. The camera is nice and doesn't blur things out, and it has exceptional memory.